[ Earth among the stars ] - ROSACCIO , G.
Title : [ Earth among the stars ]. Size : 3.1 x 3.1 inches. / 7.8 x 7.8 cm. 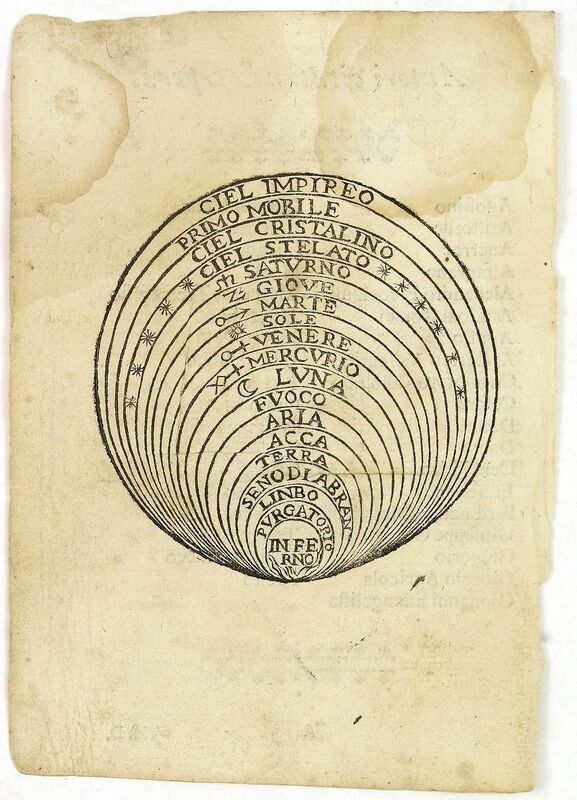 Description :Charming oval wood block map of the Christian vision on the place of earth among the stars, by the Italian XVIth and XVIIth century writer, humanist and cartographer Giuseppe Rosaccio. Taken from the 1688 Bologna "Teatro del mondo e sue parti cioe Europa, Africa, Asia, et America". For this edition new larger wood blocks were cut by Giuseppe Moretti. This is therefore the rarest and most desirable editions. Condition : In very good condition. Dark impression. Printed on thin paper.